Everyone’s favourite writing collective delivers another epic. 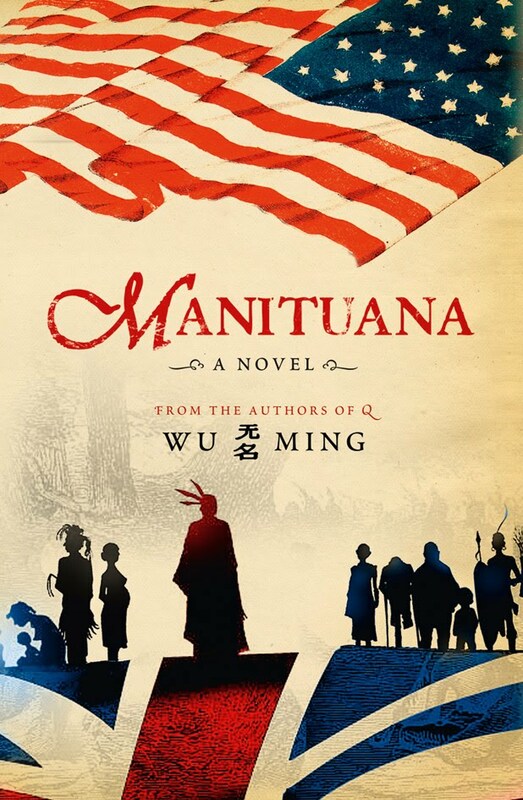 A bloody historical epic of exodus and return, torn loyalties and desperate battles, Manituana spans the Atlantic, from the forests of America’s northeast to the underworld of eighteenth-century London. The authors collective Wu Ming have created a genre-breaking reimagining of the American Civil War. A story from the wrong side of history. 1775 The conflict between the British Empire and the American colonies erupts in all-out war. Rebels and loyalists to the British Crown compete for an alliance with the Six Nations of the Iroquois, the most powerful Indian confederation, with a constitution hundreds of years old. In the Mohawk River Valley, Native Americans and colonists have co-existed for generations. But as the thunder of war approaches and the nascent United States struggles violently to be born, old bonds are broken, friends and families are split by betrayal and this mixed community lapses into hatred and resentment. To save his threatened world, the Mohawk war chief Joseph Brant makes a painful decision. Setting off with a group of warriors, he goes beyond the world he has always known in a restless journey that will take him from New York to the salons of Georgian London at the heart of the British Empire, knowing that the road back will be paved with war. It is an utterly different subject matter and the details all feel completely authentic if pretty grim at times. The range of the action from North America to London is terrific. The overall tenor though is ultimately pretty dispiriting and the outcome inevitable (of course). Not quite up to the team’s previous outstanding efforts, Q and 54, but still good and well worth a read. There is also a companion website which gives plenty more background. Holly Golightly, glittering socialite traveller, generally upwards, sometimes sideways and once in a while down. She’s up all night drinking cocktails and breaking hearts. She’s a shoplifter, a delight, a drifter, a tease. She hasn’t got a past. She doesn’t want to belong to anything or anyone. Not to ‘Rusty’ Trawler, the blue-chinned, cuff-shooting millionaire man about women about town. Not to Salvatore ‘Sally’ Tomato, the Mafia sugar-daddy doing life in Sing Sing. Not to a starving writer. Not even to her one-eyed rag-bag pirate of a cat. One day Holly might find somewhere she belongs. Until then she’s travelling. The blurb really doesn’t do it justice. It’s a terrific, but arguably slight, tale which nevertheless impresses with its energy and style. The darker elements of the story have been pushed aside I guess by the images associated with the much fluffier film. Still, great stuff and a real pleasure to read.